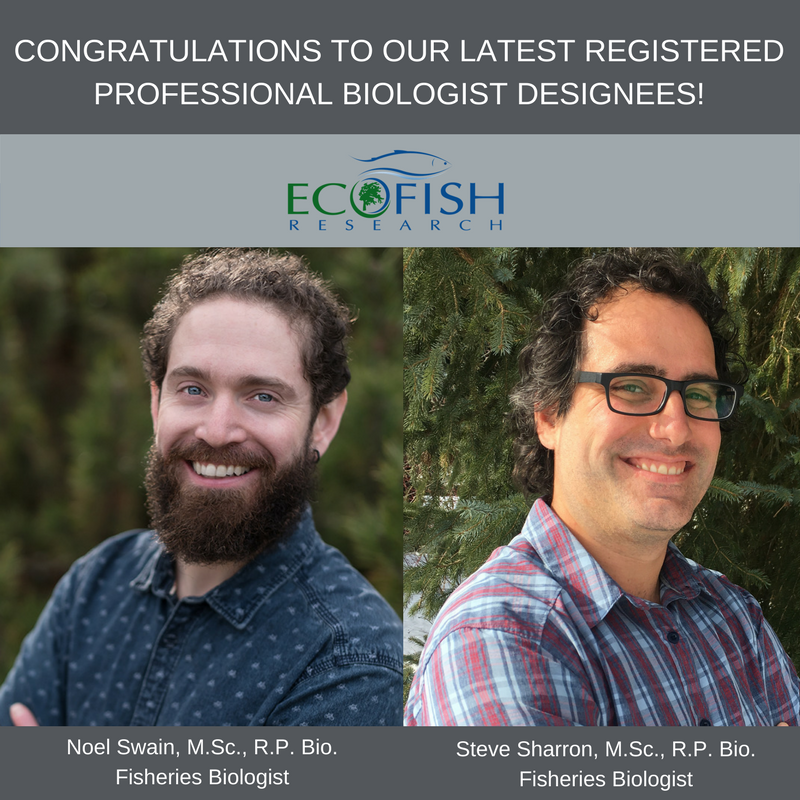 Congratulations to Noel Swain and Steve Sharron, Ecofish’s latest Registered Professional Biologists (R.P. Bio. )!